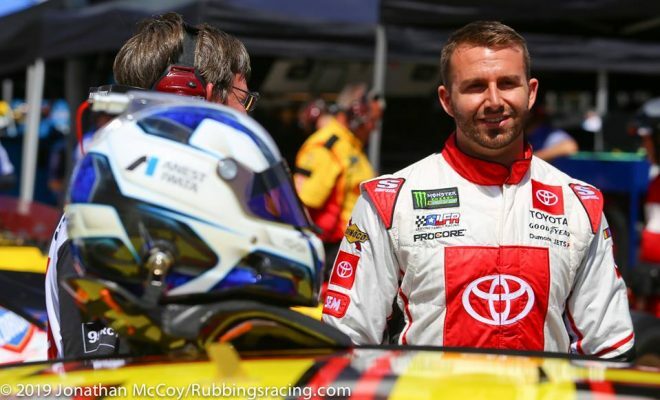 When Matt DiBenedetto made the switch from Go Fas Racing to Leavine Family Racing to start his 2019 campaign, there was a lot of talk about how DiBenedetto and LFR would become the next Martin Truex Jr/Furniture Row Racing combination. That being said may not be so far-fetched, as DiBenedetto is having his best season in NASCAR’s premiere series to this point, even if the stats don’t show that each week. No one can deny the fact that as a team, DiBenedetto and LFR have been consistent, even when they haven’t earned the finishes they deserve. DiBurrito as he’s widely known by fans and many in the garage area is always a solid pick when the Monster Energy NASCAR Cup Series visits The Last Great Colosseum. In 9 starts, including this past Sunday’s Food City 500, DiBenedetto has earned 1 top-10, and 4 top-20 finishes including a 12th place finish in Sunday’s event. DiBenedetto had a fast No. 95 NASCAR Heat Pro League Toyota Camry and was clearly disappointed in his 12th place finish because the team ran much better than that prior to their last pit stop of the race. 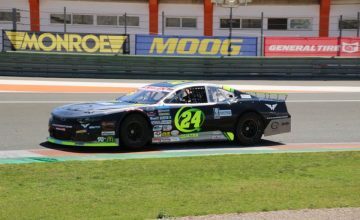 However, he had positive things to say about his car and his team after the race on his Twitter account. If the 95 team had opted to not pit, they would’ve restarted 3rd, instead they restarted in the top-15 running order. 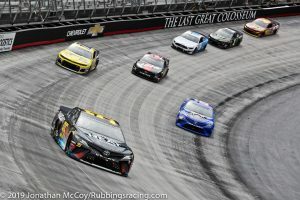 DiBenedetto may have been disappointed but he did earn his best finish of 2019 this far, his prior best finish was a 18th place result at Fontana. Even with a 12th place result, it’s no surprise that the 27-year old would run well at the track. His best MENCS career finish of 6th came at BMS back in this same race in 2016 when he was racing the No. 83 Cosmo Motors Toyota for BK Racing. DiBenedetto is certainly showing what he can do behind the wheel in fast equipment, even if the results haven’t been what they should be. In 36 starts lasts season his average start was 29.1 and his average finish was 27.0. That’s over a whole season. Fast forward to only eight races into 2019 and his average start is 21.5 and his average finish is 22.4. That’s substantial progress by quite a margin and let’s not forget, he’s been fast in practice almost every single week, running top-10 speeds on a number of occasions. 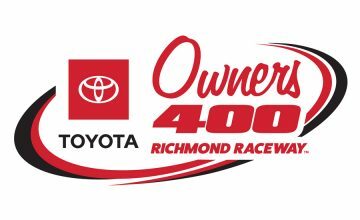 DiBenedetto and his LFR team will now shift their focus to Saturday’s Toyota Owner’s 400 from Richmond Raceway which is set for 7:30pm EST on Fox. Fantasy Note: In 8 prior MENCS starts at Richmond, DiBenedetto has a best finish of 16th in the spring race last season after starting 27th. His average start at the track is 30.2 with an average finish of 31.1. Look for these statistics to change drastically, he’s been running to consistent this season for it now too.